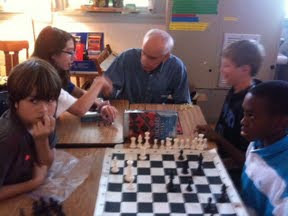 Friday, students participated in a chess tournament organized by Mr. Jerry. Congrats Ellis Odyssey of the Mind Team! The Story of Language - Curtain Closed! OM Team "On Top of the World"
Have you checked out the In2Books website lately? Welcome to the Week of May 9th! Auditions for "The Story of Language"
Our "Story of Language Song"
Help out our OM team!